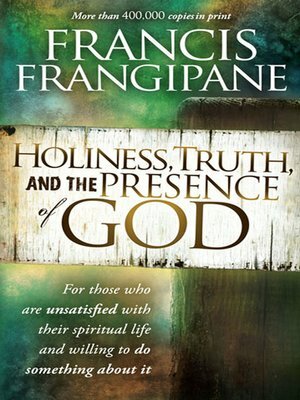 In Holiness, Truth, and the Presence of God, Francis Frangipane take you on a journey toward true holiness that leads you into the presence of God. It is a path full of life and death, perils and blessings. It is a path upon which you will be challenged, empowered, and provoked. But you will not be disappointed. What could be more important than finding God? Find God and determine to live the rest of your life in pursuit of His glory. You will dwell in the presence of God. And you will be holy, for He is holy.